Update April 9: Ryuzo turned early at 99.2m citing equalizing as the reason for turning. Megumi made 59m, closing in on the Japanese national record. Tomoko improved on her 54m dive, making her way down to 56m cleanly. Kathryn conquered 50m in constant weight without fins, succeeding with a strong hook breath at the surface and never losing her focus. Kerian also did an “easy” dive to 64m, thanks to some equalizing advice from Dave Mullins. Leo Muraoka had the dive of day, making a national record dive to 76m in free immersion. “I had trouble equalizing at around sixty metres, but I managed to make it.” This has been a long time coming for Leo, and it is his first national record in freediving. A fitting achievement to a person has been freediving longer than all of us here in the Blue Hole. Dave Mullins called off his dive this morning, telling us that he felt under the weather mentally even though he felt fine in the water. With some many attempts already under his belt, the mental strain of going deeper than anyone has gone before, may be catching up with him. The mental side of this sport is not to be underestimated. Dave still has two more days to give it a go. Monday night, Eric Fattah and I went diving in the Blue Hole at dusk. It had been a great day. Ryuzo Shinomya had set a new national record (101m) and even after the long haul of six weeks of diving in the Bahamas with his partner Tomoko, he made it look easy, despite tired legs. Eric had also made history with a dive to 67m on FRC sinking from the surface that proved easy in terms of air, but complicated for other reasons. After giving the surface protocol, he blinked and looked around and blinked again, anxious because he couldn’t see anything. DCS? Narcosis? No, he had lost his contact lenses somewhere on the way. Afterwards, he was happy to have completed the dive, even though mentally exhausted from doing new personal bests on three consecutive days in a style full of unknowns. But the sunset last night made all that seem miles away. The Blue Hole was quiet, resting after a day of excitement. A crescent moon rose in the west and the constellation Orion stretched out across the sky. So strange to see the winter constellations overhead in the warm summer air. Strange fishes, nearly invisible, winnowed their way around the submerged circumference of the hole, like sentries to the lair of a blue dragon. We both felt so much at home in the darkening depths, lit warmly by the familiar yellow glow of our computers. I made a personal best, but would have left with a smile, anyway. That’s the magic of the Blue Hole. That night Natalia Avseenko, after canceling her dive earlier in the day because of a sticky ear, expressed doubt that she should even try the world record the next day. But in the morning, safety diver and volunteer, Simon Bennett and I both had a good feeling. It was going to be a good day for diving. Natalia holds the line in her hands, feet braced against it below the surface. The surface is quiet and we can all hear her breathe. Five minutes! It begins all over again. 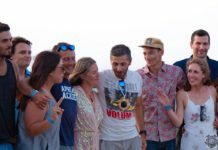 Natalia Avseenko was born and raised in Moscow and now runs a freediving and yoga instruction outfit that holds classes in Moscow and in the Red Sea. A former swimmer in the Soviet Olympic system, Natalia left the sport burnt out and disappointed in the competitive system at that level. She got into scuba diving while in university. Five years ago, on a safari trip in Egypt and Sudan, her scuba diving equipment was stolen. A little later she stumbled upon a documentary about Julia Petrik, one of Russia’s first freedivers. “I was so impressed by how Julia moved, her sense of freedom and graceful movements underwater,” Natalia remembers. She took the confluence of the gear theft and Julia’s example as a positive sign for her to try a new approach in the water. Around that time, she went through a painful divorce and felt a “little lost.” A friend of hers, a diver centre manager, told her that Natalia Molchanova had started training sessions in Moscow and that she should go. After three training sessions over two weeks, Natalia entered her first competition, encouraged by Molchanova. She hadn’t had time to learn much and no one told her about the rules and recovery breathing and so she experienced her first samba. But she had already felt that holding her breath underwater was something special. Official top! Natalia tips her head back, starts packing with her eyes still closed. And then she dives down. After only a few strokes, all we can see are the soles of her feet, flicking back and forth. On her first training session in open water, Natalia soon found herself at 52m. Although she kicked most of the way down, she found that she enjoyed the sensations of pressure on her chest, the process of equalizing, the sinking phase, the changes in colour, light and the reaction of her body. Joy calls out from the fish finder readings: “45 metres!” “Come one, Natalia,” one of us or all of us mutter quietly. Come on! “50 metres!” Seconds stretch their limits. “TURN!” Grant says, louder, now. I dolphin my way down to 20m to meet Natalia, hoping that she has the tag and that she made it all the way. Natalia ascends with crisp strokes, looking straight ahead at the line. Without a mask, her eyes seem to be gathering in all the light of the Blue Hole and focusing them within. Suddenly, at about ten metres she turns her head and looks at me. It is not the look of someone in need of help. She seems to focus on my face for a second, as if her vision is perfect, even without the goggles, for a beat, … and then she returns to the task at hand. The dive. Within seconds of surfacing, Natalia does the surface protocol with confidence. Now she has almost a minute to wait before the judges will have their say on the performance, but already it is starting to sink in. First, a broad Natalia Avseenko smile breaks across her face. Her eyes widen in disbelief and expectation. She laughs, and the sound of it bounces off the volunteers in the water and the walls of the Blue Hole. Thirty seconds, still she has to wait. Now the bubble of happiness is exploding in her chest and she’s still not letting it go completely. Forty-five seconds. The judges and safety divers smile now at this athlete who loves freediving so much. And we make silent deals with Poseidon so that nothing silly will ruin the moment: An errant mouth dip to rinse the face or someone touching her in unrestrained congratulations. But we all keep still and watch Natalia’s presence grow and grow until Grant Graves and Fran Rose share a look, flip up the white cards they’ve been guarding in their hands until now, and tell Natalia Avseenko, gladly, despite the weight of their official responsibilities, that she has a new world record dive to 57m in constant weight without fins. Natalia leaps out of the water and lets the happiness bubble fly out her lungs with a cry of triumph. This is the kind of moment that makes freediving so special. 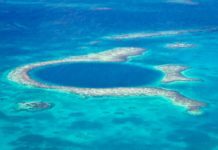 A person finding meaning in the depths of the ocean and sharing it among friends and the fish circling the Blue Hole below. I guess that laughter is as beautiful to the human ear as singing. Today on the shore, Natalia buries her feet into the sand, getting them deeper and deeper. She does a wetsuit-clad version of the twist, auguring her feet deeper still. She laughs, the record is done. I ask Natalia what was going through her mind during that impatient minute on the surface following the dive. In 2006, Natalia performed a difficult rescue of Annabel Briseno from a severe blackout deep below the surface. Last year, Natalia also suffered a severe lung squeeze herself. “I also have a subjunctive fear for the safety divers. What would they have to go through if something like that happened to me?” She pauses, reflecting on this. Clearly it is not an experience she would wish on anyone. But this dive was golden. This dive has special meaning for Natalia beyond the tag and the athletic challenge of going down and back up on one breath. 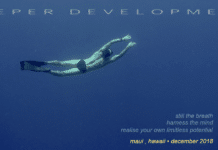 The freediving students she teaches believe in her, she says. Getting to the Bahamas in the first place was a challenge. She couldn’t obtain visas in time and in order to make it work she had to change her flight to a more expensive ticket. Natalia’s students pitched in to cover the difference. They told her that if she has a dream, she should do her best to achieve it. So this one is for all of them. Natalia will decide tonight whether or not to go for 60m in constant weight without fins. William Trubridge is the organizer of Vertical Blue, one of the longest, if not the biggest, competitions in AIDA’s history. Yet, when he shows up at the Blue Hole in his truck every morning, he seems pleased to see everyone and looks relaxed, Bahamanian style. Relaxed enough to announce world record and 100m+ dives every few days.  Soon after that he met Umberto Pelizzari and was impressed by Apnea Academy, Pelizzari’s freediving training organization. Eventually, William was tapped to translate the Manual of Freediving into English. Constant weight without fins is a special obsession for William. While he calls freediving “movement through liquid,” he waxes much more poetically on the topic of diving without fins. He likes how diving without fins allows you to distribute the effort evenly over all four limbs. And when I watched him rise up from his 84m world record dive a few days ago, I could see that this is an art form for him. Will says that his performances in free immersion, which he hesitates to call a pure discipline since he feels like he is “still connected to the surface,” have prepared him for equalizing at greater depths and are for the most part a warm-up for deeper no fins dives. Yesterday, I was safety for his second world record of the competition, a free immersion dive 107m. As he pulled himself toward the surface, he flared his legs out and did a breaststroke kick a few times on the way up. “I treat myself to one of those every ten pulls or so,” he explained later. The world record did indeed seem more like a training dive, but we could all see that William was pleased with the result, even if it took an official protest. In the last few months, the most important change that William has made has been to taper off his dry training and focus mostly on making deep and consistent dives. “And then I eat a lot and sleep.” Apnea training is demanding and especially diving near to maximum effort requires a lot of recovery time. I asked William if he had any advice for freedivers starting out in constant weight without fins. William teaches an introduction and advanced courses in the discipline. The starting point for most people is to get their buoyancy right, he says, since it is so vital not to fight too much buoyancy on the way down and too much negative buoyancy on the way up. It can be quite a fine-tuning process that can take some time and includes deciding what the right lung volume should be for a dive to a certain depth. In his advanced course, one of the more high-end techniques that William teaches is a way of delaying or blocking contractions to heighten the dive response through a yoga-inspired lock or bandha. He found that doing this at the end of the dive vastly prolonged his dive time and when he released the lock he would run out of air much more quickly. While he has made a detailed study of the no fins discipline, William trains hard, and seems designed for this mode of diving. He has hands and feet that seem to be more largely proportioned than the rest of his body. When he ascended from his record constant weight dive, I had to do strong dolphin kicks to keep up with him. When you see someone swim like that, you give up on the idea for good that diving without fins is a disadvantage. When we talk about the future of Constant Weight without Fins, William doubts that there will be any significant equipment developments for the discipline even though he is working with Orca on a commercially available suit for freediving. Primarily, he is banking on the idea that as he matures, his hypoxic resistance will increase naturally over time, as will his ability to train at higher levels with less and less foundation. He gets most excited about developing better technique. “Working on technique never ends,” he says. Most of all, beyond the business of running a competition and establishing world record dives, William is obviously having fun. He has avoided all the health problems that plagued him in his record attempts in Egypt in the past year or two. William’s bright future is in the Blue Hole. He is planning a freediving centre that would host athletes for training and competitions, research projects, and wants to sponsor initiatives to raise the profile of ocean conservation on Long Island. One unfortunate feature of this sport is seeing the human impact on our oceans. A great variety of plastic flotsam inundates the Blue Hole every few days or so. It was very bad during the spell of weather last week and as William and the other freedivers did an impromtu clean-up operation, some of the locals seemed somewhat surprised. William would like to see more no-catch zone marine parks developed in the Bahamas and an attitude shift among the locals about sharks. He says that the fishery on the island may be more or less sustainable, but he’d like to bolster that trend. It’s worth it because this part of the ocean has a treasure, a treasure that is connected to all the other corners of the ocean. Yesterday afternoon, after the activity in the hole had died down against, several of us stood and stared at it as the water calmed and the sun shone. I’ll let the photo speak for itself: Joy, Eric, Kerian, and Dave Mullins, all in deep contemplation it the Hole’s Blueness and Deanness.